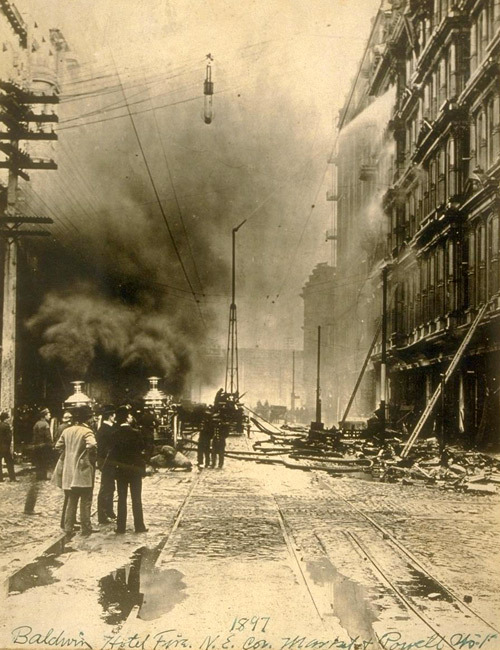 The Baldwin was a huge wood-frame building located on the site of the James Flood Building at Market and Powell streets, and when it burned it exposed the weakness of the domestic water supply. Purportedly Old 21 is the team of firefighters figthing the blaze. 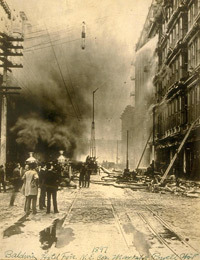 Photo says 1897, fire occured in 1898.